Liberty stock some nice things that are made in the UK. For example recently in their store I have come across UK made Leathersmith diaries, Paul Smith UK made scarves, Zatchels made in England satchels, Barbour hats (made in Scotland), John Smedley made in England scarves, Dr Martins made in England satchels, Johnstons of Elgin made in Scotland scarves, Liberty mugs made in England by Emma Bridgewater, Grenson made in England mens shoes, Mason Pearce made in England brushes, Burleigh made in England china, Richard James Savile Row made in England mens socks, Pantherella made in England mens socks, Fenella Smith made in England dogs bowls, Donna Wilson made in the UK cushions, Tweedmill made in England recycled throws, and Creighton’s made in England chocolates. 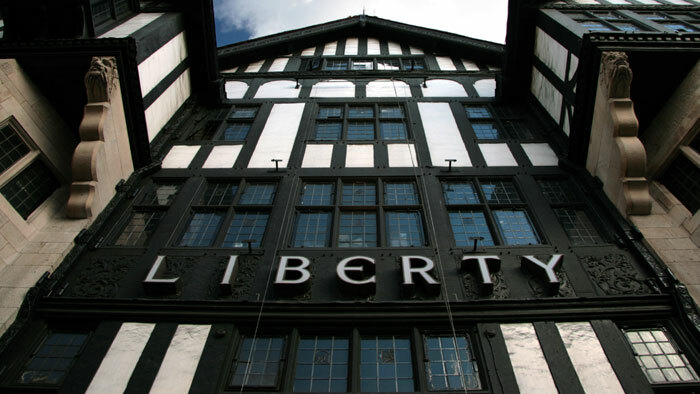 With careful shopping you can find some great UK made goods in Liberty. However, lots of things they sell are foreign made and some things they sell are surprisingly foreign made – mens Liberty pattern (James May) shirts, ladies Liberty pattern dresses, Liberty pattern gifts, caps at £130 each that are poorly made in China, a Liberty book on sewing that is made in China and more. So, by no means is everything they sell British! Also, take care not to fall foul of Liberty’s old fashioned, draconian, un-customer friendly no refunds policy on most of the things they sell! This entry was posted in Department Stores, Liberty London and tagged Liberty, Liberty London on November 8, 2012 by ukmade.